Decorex International 2017 will be opening its doors on Sunday 17th September until Wednesday 20th September 2017. Royal Crown Derby are excited to be showcasing their newest collections, why not explore a handful of the stunning fine bone china tableware they will be proudly displaying this year. 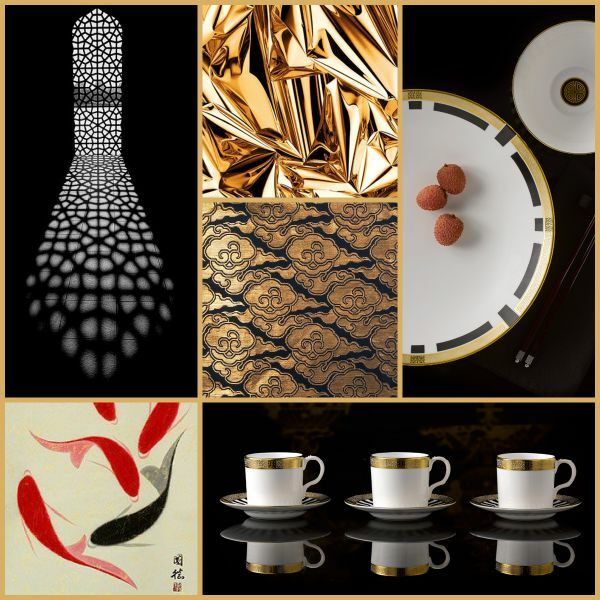 Royal Crown Derby's Satori Black tableware exemplifies a mixture of cultures and traditions which advocates the idea of western culture meeting east in offering a luxurious style in 22 carat gold and black creating a stunning contemporary look using a symmetrical eastern inspired pattern, perfect to suit any fine dining experience. Purchase Satori Black tableware here. Darley Abbey Pure tableware creates a refreshed, distinctive and elegant contemporary look, offered in fine bone china with the option of a 22 carat gold or platinum edge to accentuate the delicate lines of the original archival damask white on white textured border pattern representing the twirling foliage and filigree leaf design. Perfect for a luxury afternoon tea setting. 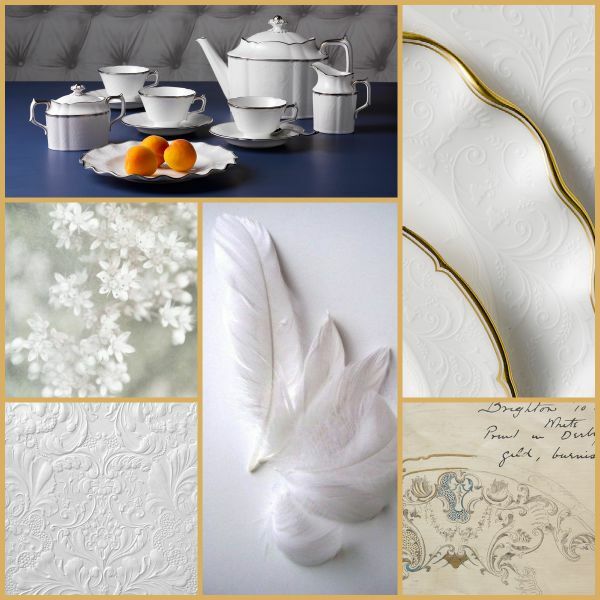 Purchase Darley Abbey Pure tableware here. The Satori Pearl tableware design features a beautiful symmetrical pattern in this contemporary design, using an inspired interpretation representing longevity in wishing a harmonious and unified life. 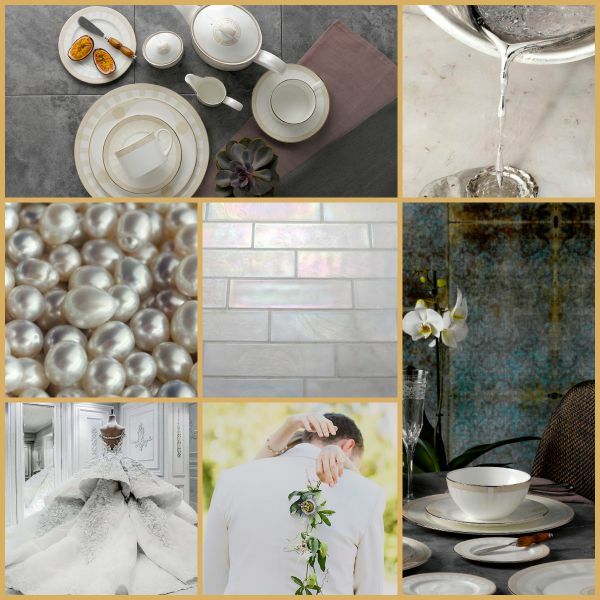 The stunning pearlescent design edged in platinum contrasts perfectly against the translucent fine bone china, creating a sophisticated yet contemporary style for luxury dining or for the ultimate wedding table setting. Purchase Satori Pearl tableware here. 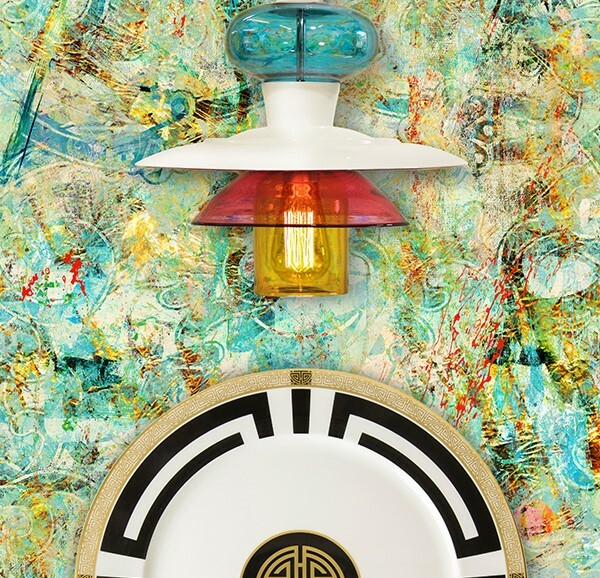 Decorex International will be celebrating 40 years of design excellence this year. To celebrate this wonderful occasion Royal Crown Derby have colllaborated with leading Derbyshire brands Blackpop and Curiousa & Curiousa to create the Derbyshire Collective and curate the Entrance Café at this years show. The Derbyshire Collective Café will feature bespoke table dressings from Blackpop, handblown glass stacked light chandeliers from Curiousa & Curiousa and fine bone china tableware from Royal Crown Derby. Showcasing the Collective’s passion for design, British manufacturing and celebration of colour. Decorex International is an internationally renowned trade show showcasing the finest and most coveted luxury products to interior design professionals. On Tuesday 19th September Decorex opens it’s doors to members of the public for Consumer Day. Find out more about Decorex International 2017 and book tickets for Consumer Day here.